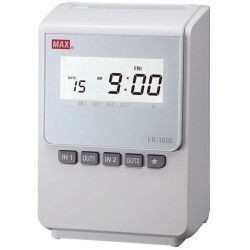 The Max ER-1600 is a compact, fully automatic calculating time recorder for up to 50 employees. 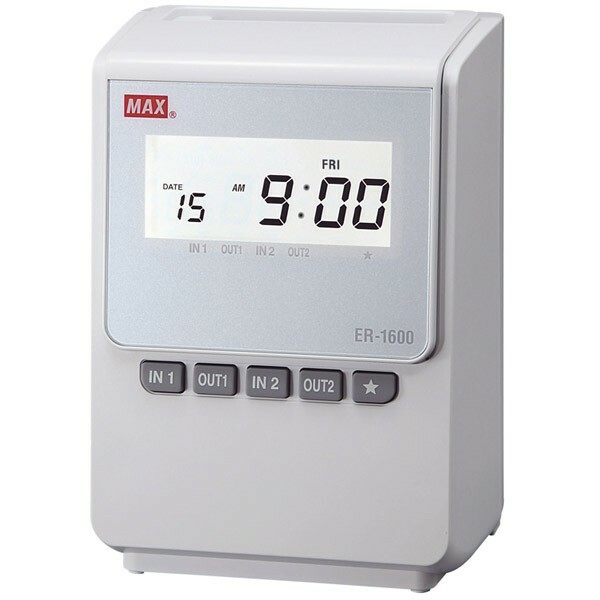 The Max ER-1600 provides simple calculating capability to small businesses. 4 columns allow 2 clock-ins and 2 clock-outs each day, whilst daily calculated hours are printed in the 5th column. With flexibility, including shifts that traverse midnight, and automatic printing that ensures over-printing never occurs, the Max ER-1600 is ideal for businesses with up to 50 employees. 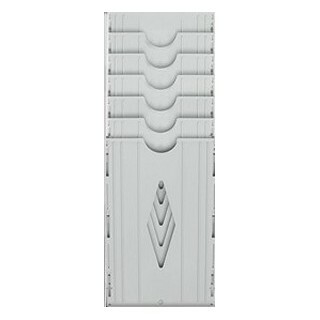 For workplaces with more than 50 employees we recommend the Seiko QR-395 calculating time clock. 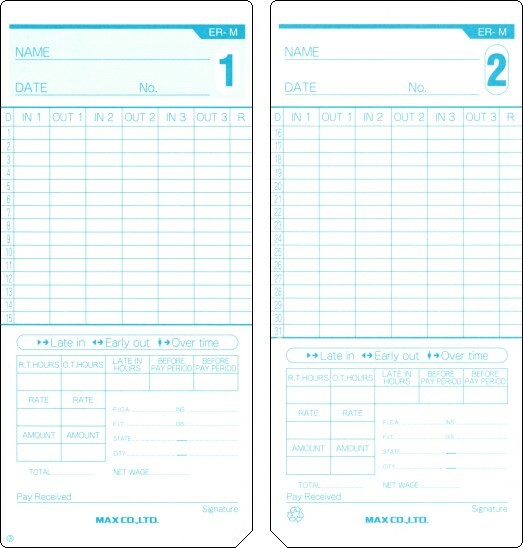 Currently available as a package including 200 weekly payroll time cards and a 6 slot time card rack.